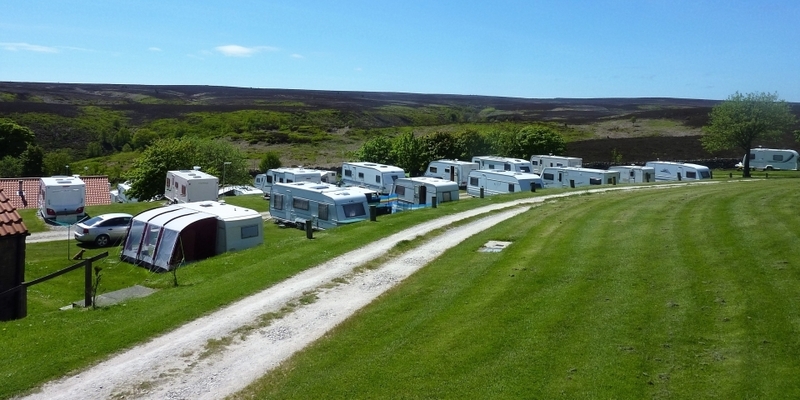 Our camping and caravan park faces a sun-filled southerly direction with views over a wooded valley to folds of heather-covered moorland. Together these provide a natural amphitheatre locally known as “Paradise”. There is also a lovely lake and a woodland walk within the park for guests to enjoy, along with a children's play area under the shade of some lovely trees. We are just within the Noth Yorkshire Moors National Park. We have an onsite shop and lots of leaflets about what to do in the area. For our current tariffs, please click here. 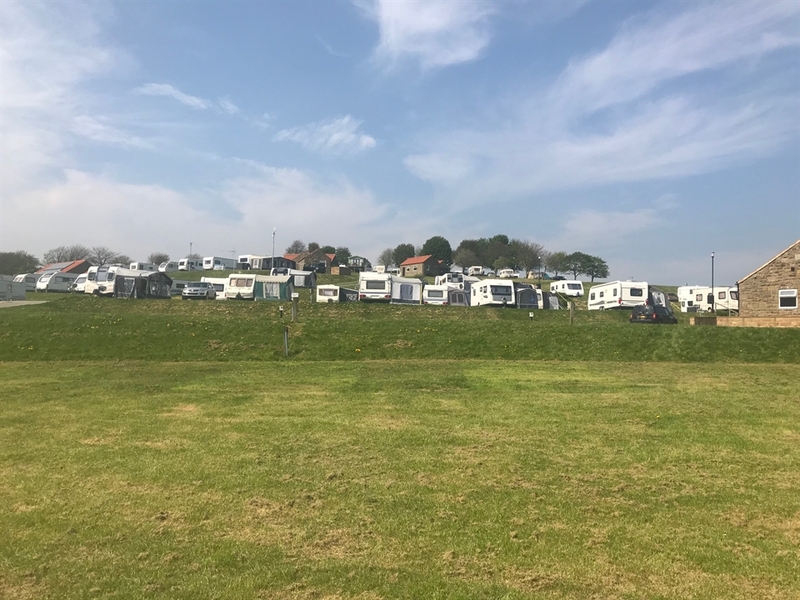 Established in 1978, our park is a tranquil, family run business which welcomes touring caravans, motor homes and tents. We are now open for the 2018 season until mid-October. We have a Four Star Pennant Gold Award, presented to us by the AA. Grouse Hill has good facilities, including toilets, showers and play area, along with an onsite shop, reception area and a pub within easy walking distance. Fabulous walks close by, from short strolls to longer hikes. Plenty of ramble and cycle paths are nearby, and we're in between the Yorkshire Coast towns of Scarborough and Whitby. Robin Hoods Bay is also close by. Please let us know if you are bringing your dog with you as a pooch tariff applies.